During the past decade, the number of software applications running in the enterprise have grown significantly for many organizations. This increase resulted in skyrocketing cost for IT operations and created hard to manage operations. The characteristics of software running in this type of enterprise can be as follows: The applications run in their own silos. The processes and functions are not shared with other enterprise applications. Each software application establishes its own standard and none follow a universal standard. The application dependencies are tightly coupled. There are little to no governance for the running application. Our middleware solutions can solve many of the enterprise challenges faced by IT organizations today. We help organization to reevaluate their enterprise to take inventory of inefficiencies and identify failures and gaps in automation. 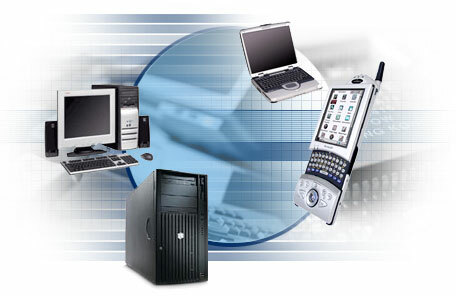 We educate and encourage clients to adopt delivery of software as a service’s concepts. This adoptions enforces a new way of thinking in building new software applications, in reengineering the enterprise, and in reengineering the existing applications. In the past, organizations took a ad-hoc approach in building software. When a software was needed by a department or a business unit, it was developed and customized for that department or business unit. Today, we encourage clients to plan ahead and build software that meets the needs of the organization and not just a business unit. We help clients to identify business processes and functions that occur across the organization, create requirements that meets the needs of multiple user communities, design processes that can easily be customized to meet the needs of a single department or business unit yet it is generic enough to meet the needs of the entire organization, develop the new processes or functions as an application software that can be delivered and made available to the entire organization as a service, and help to establish governance in how the newly developed software as a services can be used or consumed across the organization. © Copyright 2012 computerscientist.com All rights reserved.